New Delhi, February 7: Union Cabinet meeting chaired by PM Modi on Wednesday has brought a sack of gifts to its people. So let us have a look on cabinet Decisions A to Z quickly. Approval of approved the signing of a Memorandum of Understanding between India and Malaysia for Mutual Cooperation to raise the status and prestige of the Practicing Company Secretary in both countries, and to facilitate the movement of the Company Secretaries across borders in the Asia-Pacific Region. Approval for proposal for a MoU between India and the the Electoral Commission of Namibia (ECN) and with Electoral Tribunal of Panama (ETP) on cooperation in the field of electoral management and administration. Accorded ex post facto approval to the MoU between the Ministry of Agriculture and Farmers' Welfare, India and the Ministry of Fisheries, Marine Resource and Agriculture, Maldives. MoU between India and the United Arab Emirates on Development Cooperation in Africa. The signing of Agreement between the India and Ukraine for cooperation in Agriculture and Food Industry. Approved the proposal for Abolition of Institution of Income-Tax Ombudsman and Indirect Tax Ombudsman. ex-post facto approval approved the Memorandum of Understanding (MoU) for promoting bilateral cooperation in the field of e-Governance. Approved the Proposal of Ministry of Power to allocate 85% power to the Government of Telangana generated from Telangana Super Thermal Power Project. Approved ex-post facto approval to the Framework Agreement between India and Indonesia on cooperation in the exploration and uses of outer space for peaceful purposes. Approved the proposal of Ministry of Information and Broadcasting for introducing the Cinematograph Amendment Bill, 2019 to amend to the Cinematograph Act, 1952. Approved the introduction of National Institutes of Food Technology, Entrepreneurship and Management Bill, 2019. Approved establishment of a unified authority for regulating all financial services in International Financial Services Centres (IFSCs) in India through International Financial Services Centres Authority Bill, 2019. Approved the establishment of Circuit Bench of Calcutta High Court at Jalpaiguri. Approval to move official amendments to the Banning of Unregulated Deposit Schemes Bill, 2018, pursuant to the recommendations of the Standing Committee on Finance (SCF). Approved the proposal for the establishment of RashtriyaKamdhenuAayog for Conservation protection and development of cows and their progeny. 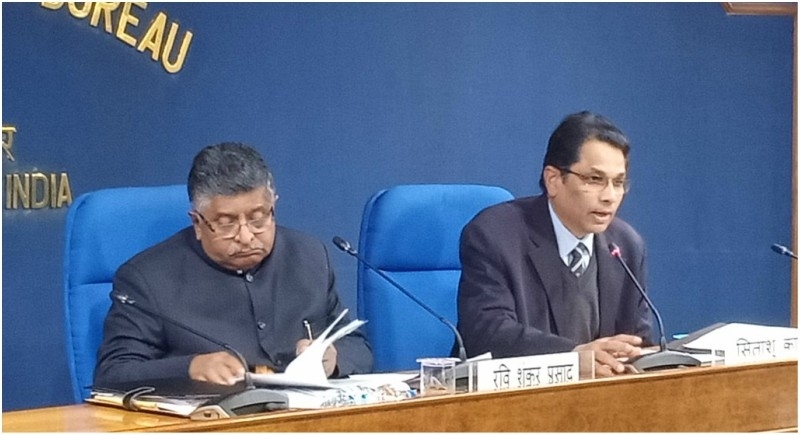 Approved the Ministry of New & Renewable Energy's proposal for implementation of the Central Public Sector Undertaking (CPSU) Scheme Phase-ll for setting up 12,000 MW grid-connected Solar Photovoltaic (PV) Power Projects, by the Government Producers with Viability Gap Funding (VGF) support of Rs. 8,580 crore for self-use or use by Government or Government entities, both Central and State Governments. Approved the proposal for continuation of the Scheme of "Exploration of Coal and Lignite" with an expected expenditure of Rs.1875 Crore. Approval to the Proposal of the Ministry of Information and Broadcasting regarding Prasar Bharati's "Broadcasting Infrastructure and Network Development" scheme at a cost of Rs.1054.52 crore for 3 years from 2017-18 to 2019-20. Approval for the creation of a corpus of Rs. 2000 crore for Agri-Market Infrastructure Fund (AMIF) to be created with NABARD for development and up-gradation of agricultural marketing infrastructure in Gramin Agricultural Markets and Regulated Wholesale Markets.